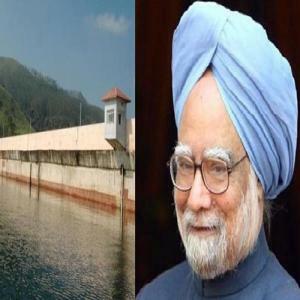 " I have received your letter of 29th November, 2011 as well as your earlier letter on the Mullaperiyar dam issue. I have made a note of the points raised by you and also heard the issues raised by a delegation of Ministers from the Government of Kerala. I have pointed out to them that the matter is currently before the Supreme Court Empowered Committee. I believe that nothing should be said or done to create undue alarm among the people. I am sure that, given goodwill on both sides, an amicable and mutually acceptable solution can be found through a process of dialouge and communication. I have accordingly advised the Ministry of Water Resources to arrange an early meeting between the officials of the two sides to sort out understanding issues and allay genuine concerns. I look forward to you cooperation in this matter "
0 Response to "Prime Minister writes to Jayalalitha"